SALT LAKE CITY (AP) — A Utah man in his 70s has died after contracting the plague, bringing to four the number of deaths from the disease reported in the United States this year, health officials said Thursday. Officials are still trying to determine how the Utah person contracted the disease, but believe it might have been spread by a flea or contact with a dead animal, according to the state Department of Health. Plague is a rare disease that is carried by rodents and spread by fleas. The Centers for Disease Control and Prevention says 11 other cases have been reported in six states since April 1. The other three people who died were ages 16, 52 and 79. Anywhere between one and 17 cases of the illness have been reported each year in the U.S. since 2000, according to the CDC. Deaths are rare, with no more than two a year having been recorded over the past 15 years. However, Dr. Paul Mead, a chief of epidemiology with the CDC’s office in Fort Collins, Colorado, said four deaths so far this year is not necessarily a cause for alarm. “Yes, it’s twice as many, but when you’re dealing with small numbers, you have that kind of variation,” he said Thursday. Patients in a few of the 11 other cases this year came down with the plague after visiting Yosemite National Park in California. The last human case of plague in Utah was in 2009, but state Health Department spokeswoman Charla Haley said no deaths from plague have been recorded in the state in at least 35 years. Haley said the latest patient got the disease in Utah, possibly after being in rural areas and near campgrounds. The person was hospitalized about five days after coming down with symptoms and died in mid-August at the University of Utah’s Hospital. State health officials declined to release the patient’s age, gender or hometown, saying the person’s family wanted to keep those details private. However, Mead confirmed the Utah case involved a man in his 70s. Health officials checked with family members who may have been exposed to the person, but Baker said the incubation period has passed and no family members or anyone else reported symptoms. 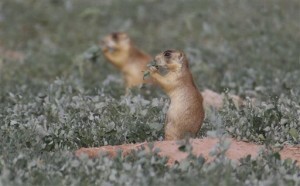 Plague is naturally occurring in Utah rodents and is often seen in prairie dog populations, the Department of Health said. 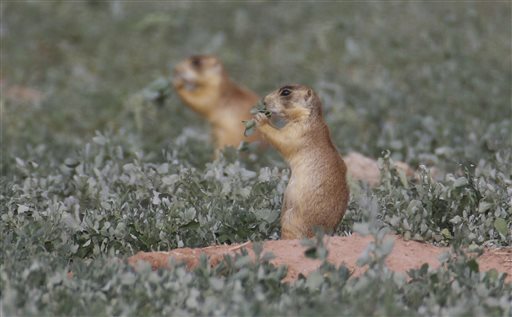 Wildlife and health officials confirmed in July that an outbreak of bubonic plague killed 60 to 80 prairie dogs in an eastern Utah colony. 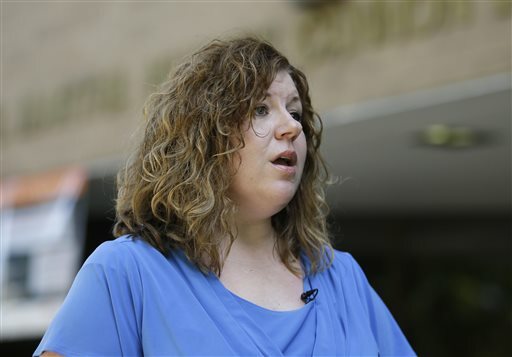 Annette Roug, a veterinarian with Utah’s Division of Wildlife Resources, said Thursday state investigators found prairie dog burrows near the person’s property but no sign that animals were still living there. Roug said if wildlife officials find prairie dog burrows in the area, they may treat them with insecticide to kill fleas that carry the disease. She declined to say where the affected area is in Utah. Human cases of plague often occur in areas where wild rodent populations are near campsites and homes. Transmission between people is rare. Baker said anyone going to rural areas or campgrounds can protect themselves by wearing insect repellent; thoroughly cooking any wild game and sanitizing knives and preparation tools; wearing gloves when handling or skinning wild animals; and ensuring pets are wearing flea collars. I know that Nolan will have some expert advice on this one. Nolan, we eagerly await! Send death certificate to the Bammie department. Can be used for democrat candidate vote in the 2016 election. Mr Mesaman, explain what a “Bammie department” is please. And, scumbag, the next post you make with personal information in it will get you removed from the site. Try it and see. What I don’t understand is how someone who acts like he does can be qualified as an “associate professor of psychology”. Was his teaching similar to his comments on here? I googled him. Most student comments said he was a kooky old man. Most actually positive but many did say he was a lousy instructor that taught them nothing. Hey FUN BAG MESAMORON got his depends in a knot. LOL.! You know what funbag? You and your little pals need to get a life. You are nothing but internet bullies. I really wish the editor here would do something about you and your friends. I personally think that you are the same sick person posting as different names. You are off your rocker, and you need help. God bless your soul. How can your posts get dumber and dumber every day? Amazing. Your poor mother has to be severely depressed at the huge mistake she has created.